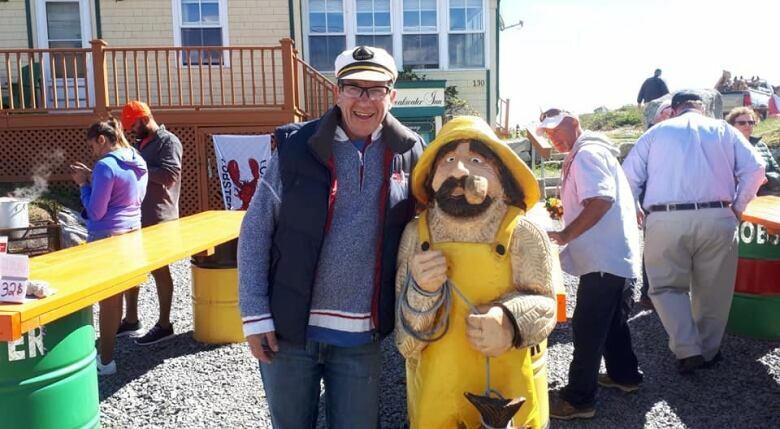 Wooden statue had been taken nearly a week ago from Peggys Cove Boat Tours. 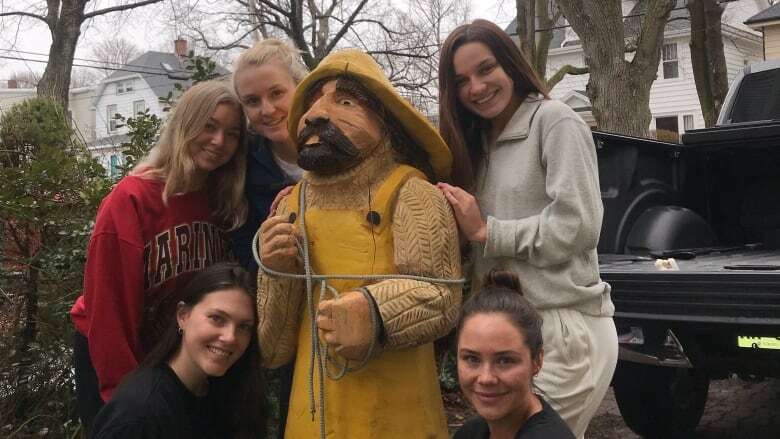 Shorty, the sou'wester-wearing wooden fisherman, has a whale of a tale to share after a group of Dalhousie University students rescued him from a house in Halifax. Erin O'Connor and friends Roz Brenzel, Kennedy Whelan, Paula Munroe and Julia Farrow heard rumours the statue was at the house and made a plan to take it back for owner Peter Richardson. "We decided that he wasn't being treated very nicely, so we went and saved him," O'Connor told CBC News in a phone interview on Saturday. "We just put Shorty in the car and we drove away." O'Connor said Shorty is in good condition. 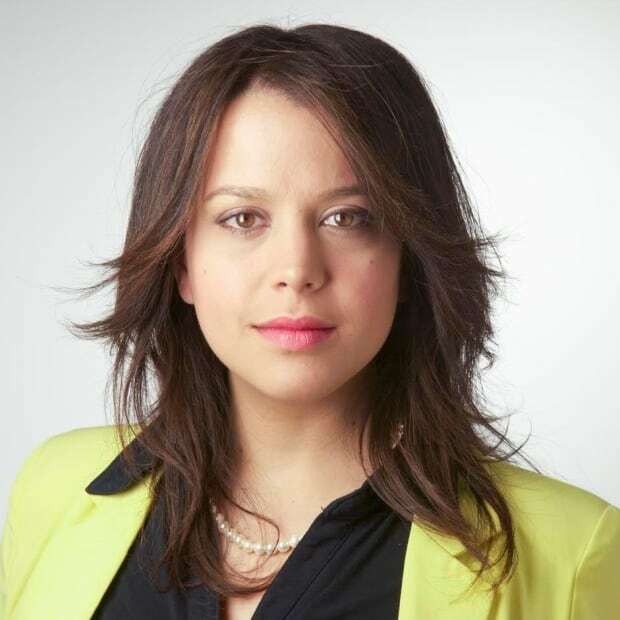 "Shorty is safe with us and doing a lot better," O'Connor said. "On the phone [Richardson] sounded very excited to be reunited with his friend Shorty," she said. "I received a phone call from someone saying that we have Shorty. That's all they said was, 'We have Shorty.' I said, 'You have Shorty?' She said, 'Yes, we found Shorty and I have him at my apartment right now,'" Richardson said. So long as Shorty is in decent shape, Richardson said he's not planning to lay charges. "We decided today to have a Mrs. Shorty carved so she can stand out in the same spot with her hand out looking for shorty, waiting for him to come back," Richardson said. "I'm glad [the students] called and [they're] giving Shorty back but [they] should have done it two weeks down the road." Richard said the motive of the theft isn't important. He said the silver lining of the incident is that it will attract attention to his business just ahead of the busy tourism season. "We're getting him back and that's all that matters," Richardson said.